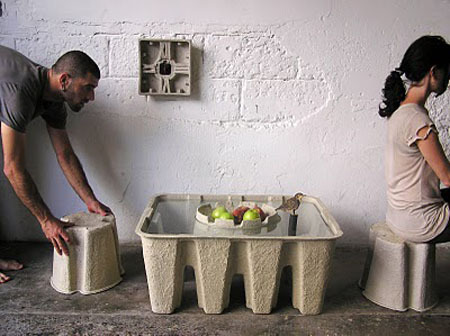 Inspired by the pulp spacers used in packaging, the Pulp furniture is designed. The said furniture is composed of a coffee table, stools, and a clock or wall hanging. 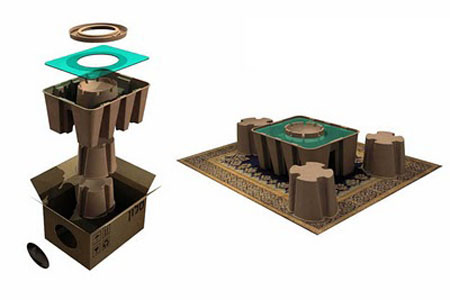 Even though these furniture sets are made out of paper, they are sturdy enough to carry weights. 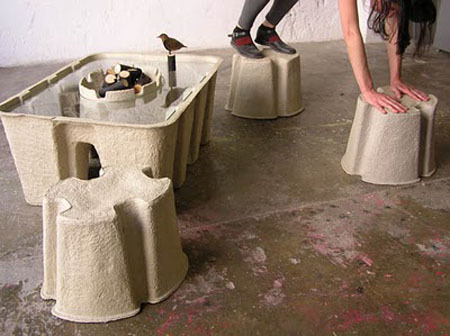 Presumably, these furniture sets uses recycled paper to produce pulp. Created by designers Odelia and Dan, the pulp furniture looks stylish enough to be on any modern homes. 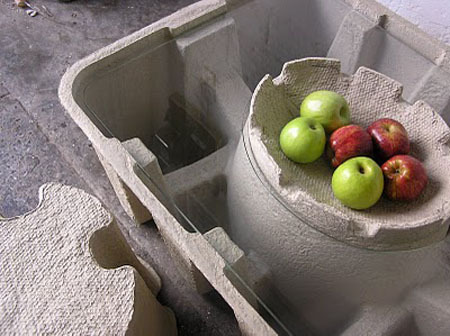 If made out of recycled paper, through the pulp furniture, landfills will definitely be minimized drastically and used papers will be given a new life instead of having them landed into our landfills. between conceptual art and industrial design. I like it !